The European Union (E.U.) plans to phase out its ban on liquids in stages over the next few years, with the ban expected to be fully lifted by 2014. But while that sounds like good news for travelers, the proposal presents a host of logistical issues and has received a fair amount of criticism. Lastly, many here in the states are wondering why the E.U. gets its ban lifted while we don’t. Clearly this last point is closest to home, but saying the E.U. will have its ban lifted while we keep cramming our liquids and gels into tiny bottles isn’t exactly true. 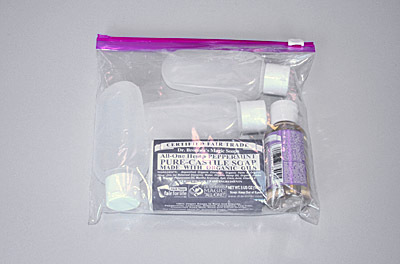 The Transportation Security Administration (TSA) is in the process of rolling out new technology that would make the liquid ban unnecessary, and has been for some time. And even though the TSA announced last month (to much heavy sighing) that it would be at least another year before the ban could be eased here in the U.S., that still puts it at least on pace with the E.U., if not ahead. It’s quite possible that we’ll see the ban lifted before Europe does. As for the issues in Europe, it should surprise no one that a large-scale security overhaul is a tedious process fraught with difficulties, and that pronouncements of target dates and plans would be met by skepticism. Behind all this is frustration with the inconvenience of the ban, but also a sense that the ban is overzealous and no longer necessary. In short, it’s time for the ban to go; and all the target dates, plans, and platitudes in the world mean nothing while the ban is in place.